other | Teaching and Tech. What most teachers think of the English Baccalaureate. BBC News – Michael Gove in fiery debate with caller over Baccalaureate. Click on the link to listen to the radio debate. I came across this radio clip from BBC radio 5 Live, and listened with great intent as the caller made a very clear, concise and well thought through argument against this new measure of schools that the government has brought in. I found myself nodding away as i listened, and agreeing with pretty much everything he said. He makes an excellent point which Michael Gove seems to have no answer for. The caller points out that beyond the core of English, Maths and Science (we need literate and numerate people when they leave education) there is little substance behind the other subjects Gove has included in the English ‘Bac’. The only reason i can see is that it reflects the ‘traditional’ education he had when he was at school a few decades ago. Education has moved on. Teaching in a non-selective school i have absolutely no doubt that students will be immediately switched off if they are forced to take a foreign language. Gove points to the fact that other countries teach another language as part of their core. What this says to me is that other countries teach English as well as their own language, because English is the language of business. Also i see no logic in favouring another language above ICT/ business studies. Students are much more likely to use/ need ICT in their working lives than to be able to speak some pigeon French or German. As the caller says; all subjects outside of the core should be given equal weight, and students should be allowed to do things that interest them, and might be useful to their future. If this is the leadership of education in this country, i dispair at the lack of thinking and understanding of how children work, and how to motivate them. I know that when i choose to do something i am much more likely to do well and try hard. As the ashes is on sky at the moment, i was trying to find ways to watch the cricket without having to pay an extra £20 a month on an sky sports subscription. 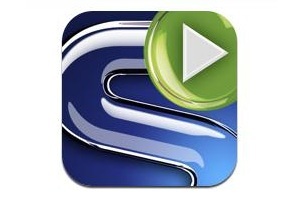 Then i read about the sky mobile TV app for the iphone and ipod touch. After downloading the free app, and then registering with sky, you can watch all 4 sports channels, and ESPN, for only £6 a month! The cost. Only a fraction of the cost for full sky sports, and well worth £6 a month. The fact that i can watch the cricket (and lots of other sports events) at the same time as my children are watching childrens TV, so don’t need another TV or be hidden away upstairs. The app is available through itunes, and there are deals for sky sports subscribers. Now all i need to do is get some sleep after watching the ashes until stupid o’clock!